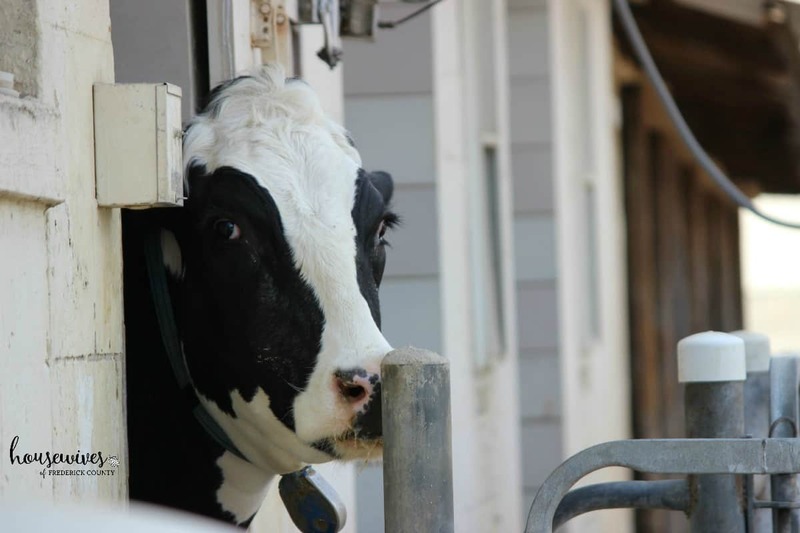 Cows, Ice Cream, Cheese, Oh My! You know why I love living in Frederick County? Because there’s truly something for everyone. We’ve got the hip & historic downtown Frederick. And then, we’ve got the rural, country, rolling hills, farmland of Frederick. I love the combination of it all. 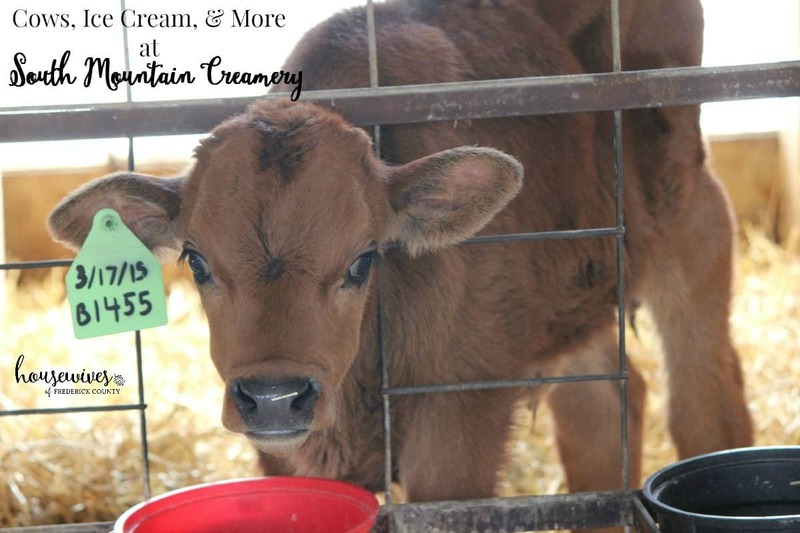 Recently, I decided to take advantage of a beautiful ‘the-kids-are-out-of-school-what-are-we-going-to-do’ day and take my son and nephew out to South Mountain Creamery for a (reserved ahead of time) tour of the farm. The boys were excited to take a short ride out to the country to see the cows and eat some of South Mountain Creamery’s homemade ice cream. 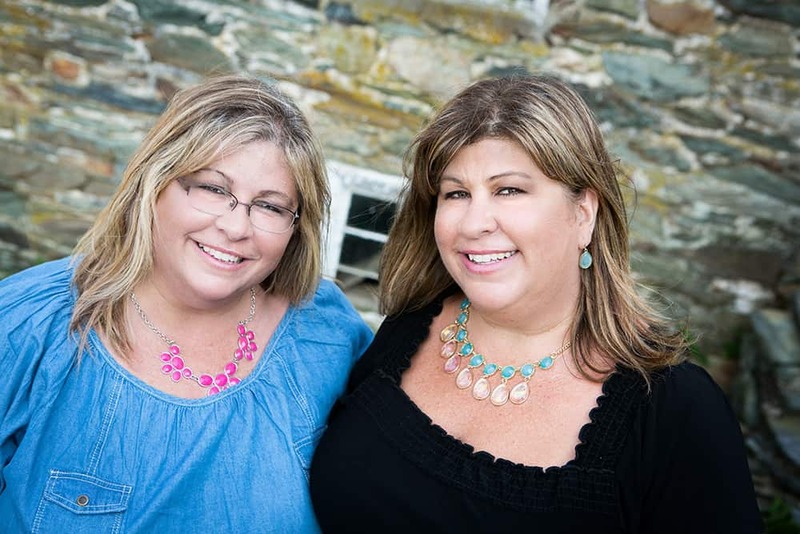 What is South Mountain Creamery? The boys and I were in awe of how far South Mountain Creamery has come over the last few years. 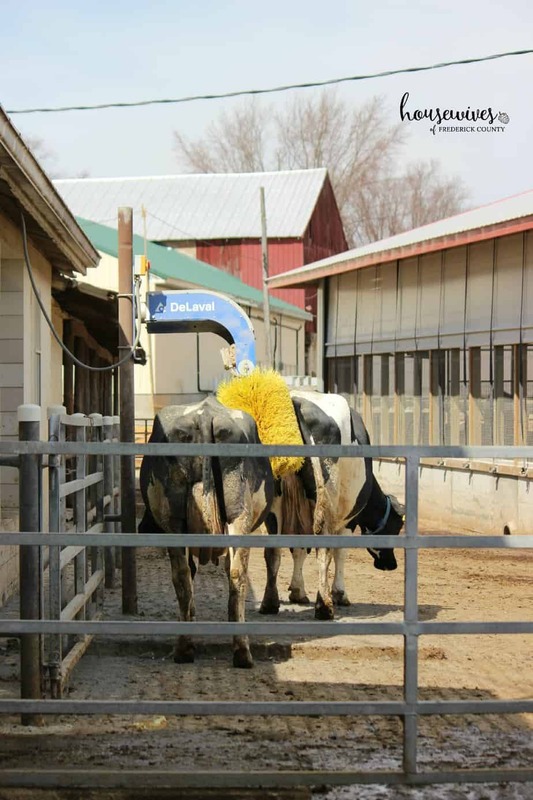 They’ve always been our creamery of choice, but we were beyond impressed to see how automated they are with every process involved in managing the dairy cows. They have the entire cow process down to a science. 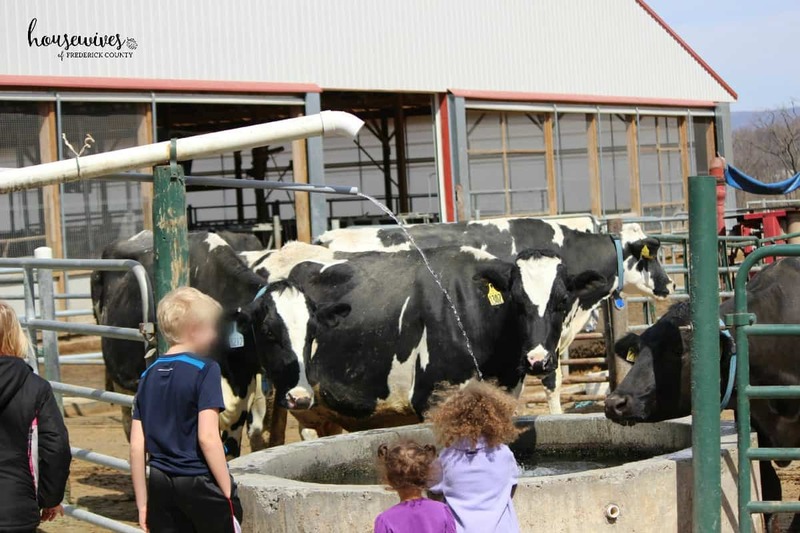 We were first brought to the area where cows line up and come in through a door to get milked. It’s cute to see how they know the routine and do it in an orderly fashion. 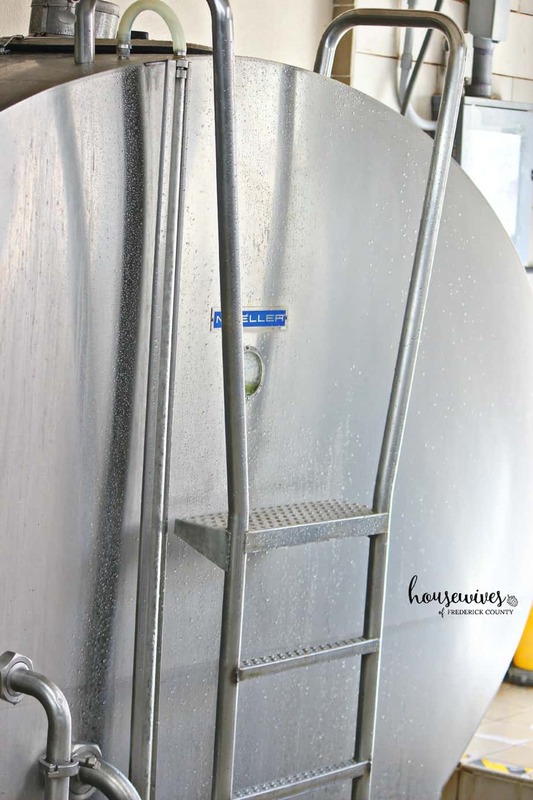 The milk is sent through tubes to this large milk tank for proper temperature storage. Then they are led out of the area to a water trough outside and to a place they lovingly call the ‘car wash’ where they get a short massage. 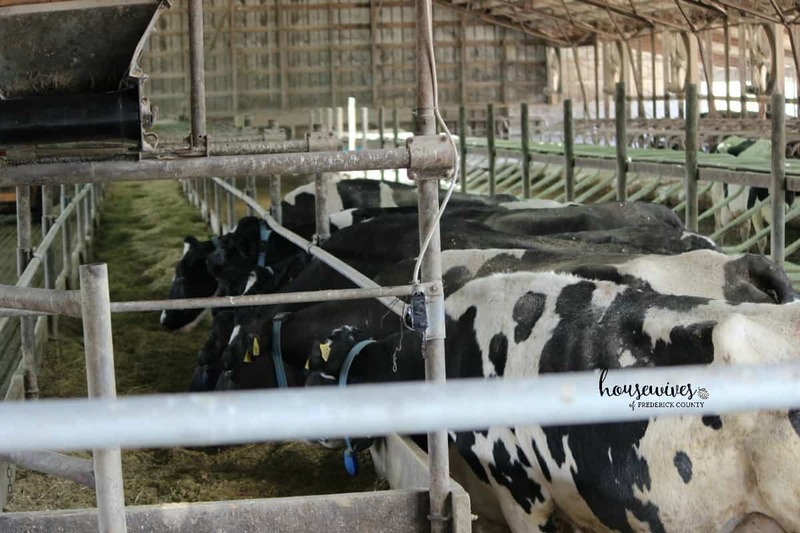 In between processes, the cows get to hang out and socialize amongst themselves in the gorgeous South Mountain setting of rolling hills and country breezes. 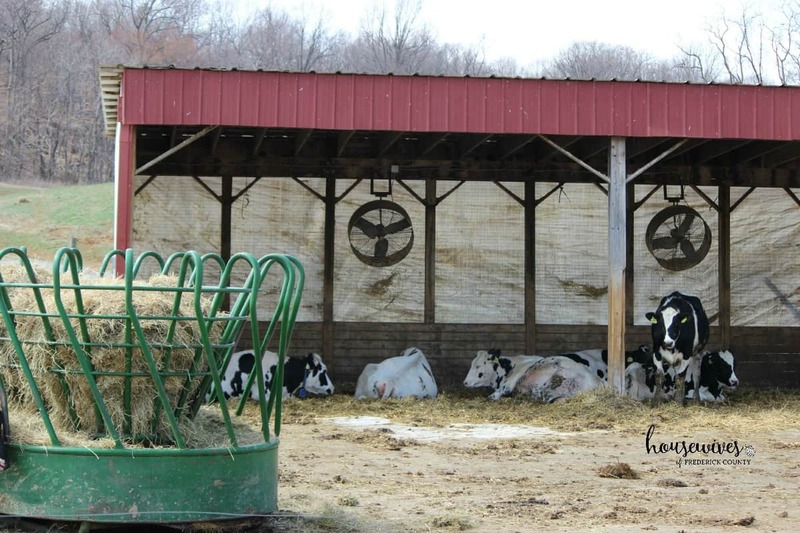 The cows have separate areas where they eat and where they sleep. After seeing how well they take care of these cows, I’ve decided I would like to be a South Mountain Creamery cow in my next life. 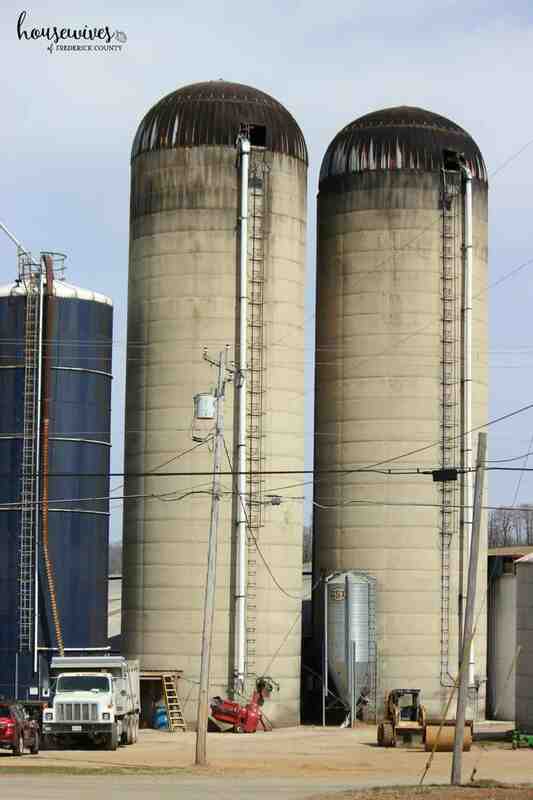 When we were done walking through the cow process, we were brought over to the corn and soybean silos. 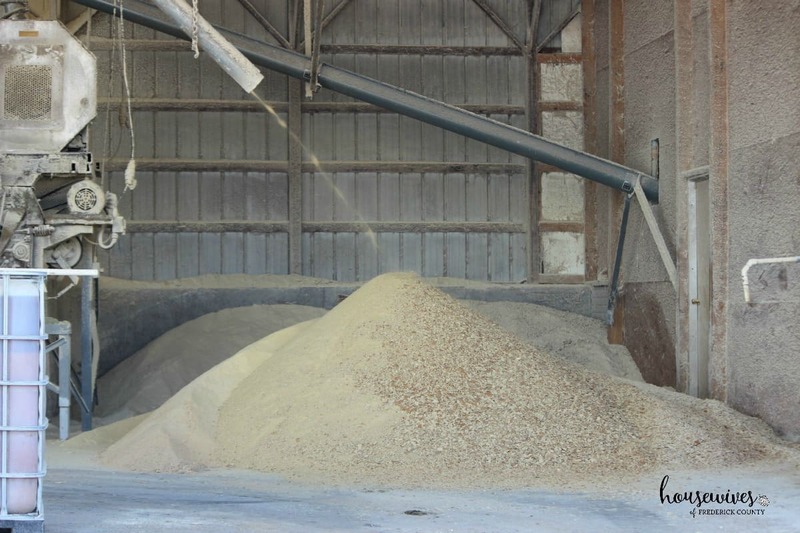 The corn and soybeans are used as feed for the cows. It’s amazing to see the technology that goes into it all. We then walked over to the play area. 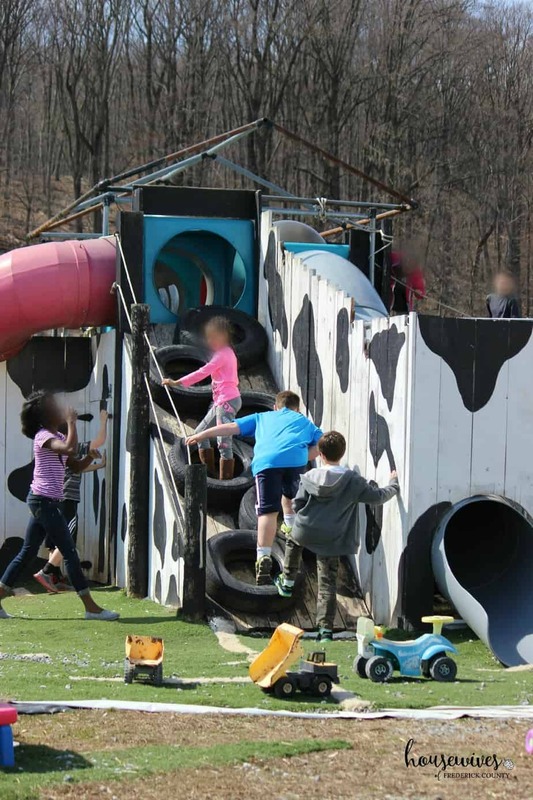 Although my boys are at that ‘in-between age’, they really enjoyed the cow themed playground. The only way I could pry them away was to tell them that we were walking over to see the baby calves. This was my favorite part of the tour. 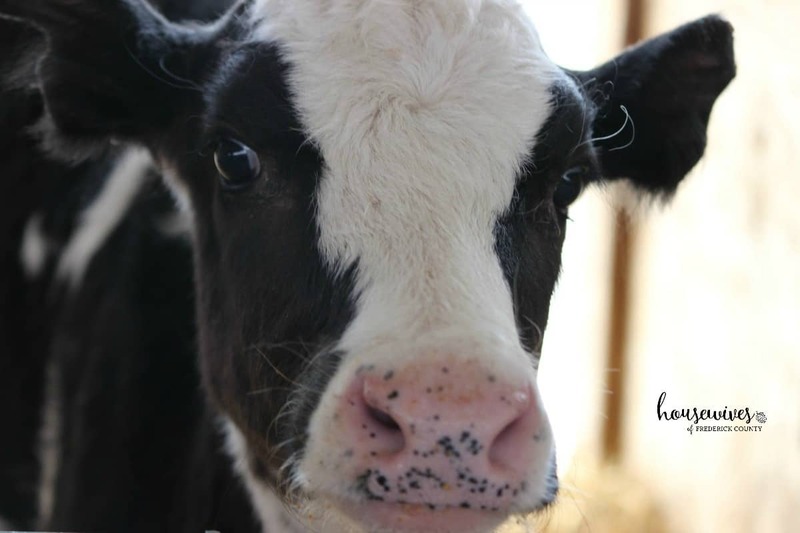 The baby calves are just gorgeous with their big eyes, long eyelashes and soft fur. 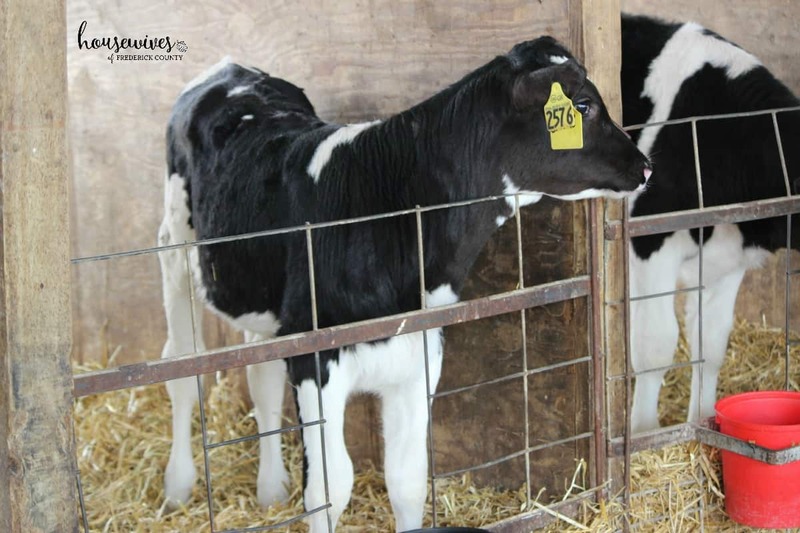 South Mountain Creamery has contests on their social media channels so that you can participate in the naming of the newborn calves. Every day at 4pm is Calf Feeding Time. The public is invited to come at this time and help to bottle feed the calves for free. I absolutely loved this cow with his little freckles. After we finally finished oooooing and ahhhhhing at the baby calves, we walked over to what South Mountain Creamery calls their ‘maternity ward’. 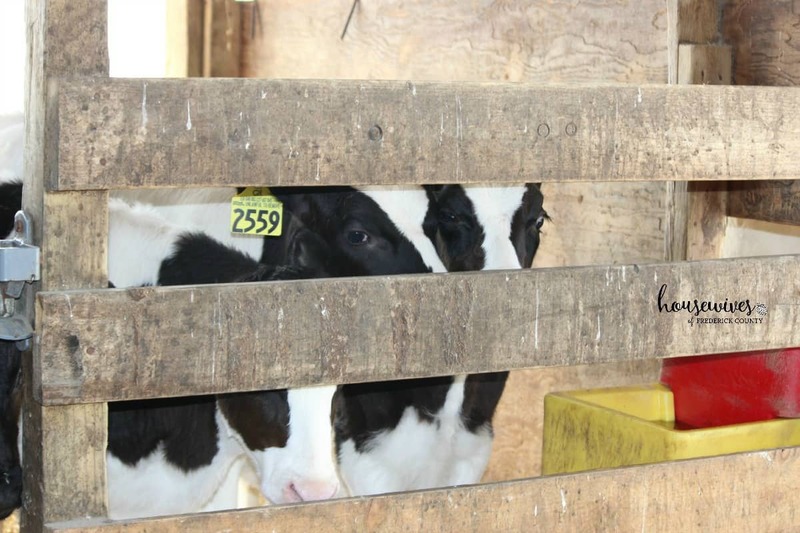 This is where the pregnant momma cows are taken special care of until they give birth. After our tour was over, we decided to walk over to Karen’s Kountry Store to get some ice cream. We were amazed to see how many other things they sell in their store! 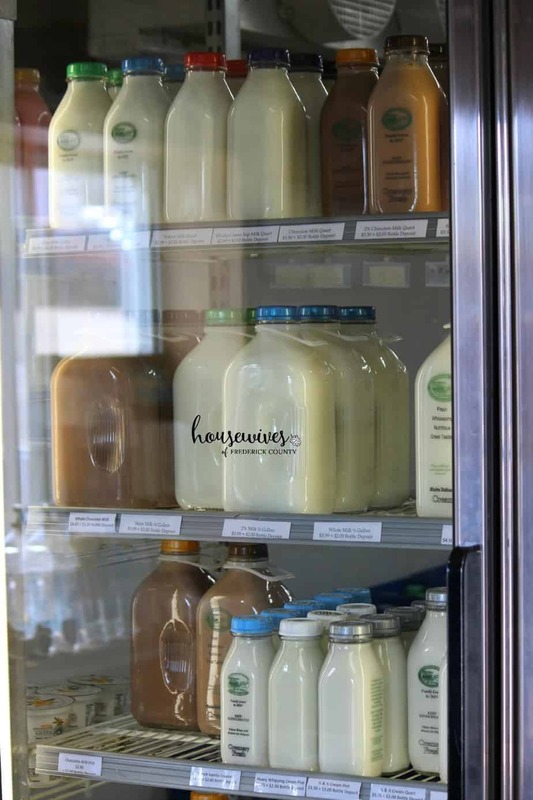 Glass bottled milk, eggs, meats, seafood, butter, ice cream, yogurt, yogurt drinks, produce, dog treats, sauerkraut, popcorn snacks, spices, cheeses, juices, teas, dips & spreads, bread, local honey, granola, cookie dough & brownies, coffee, and more! Very creamy and they had a nice variety of flavors. And now you can even see South Mountain Creamery’s babies on the big screen. 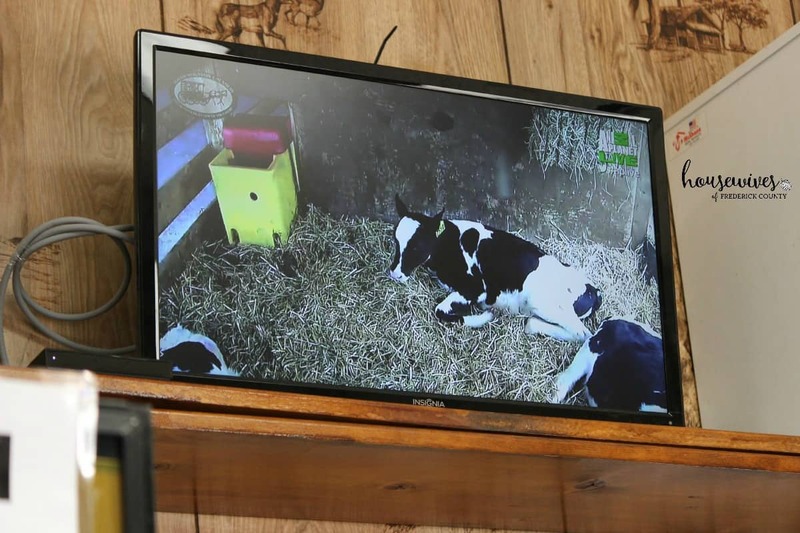 Animal Planet Live has a live baby nursery cam so you can watch the cute little baby chicks and calves up close and personal 24/7. 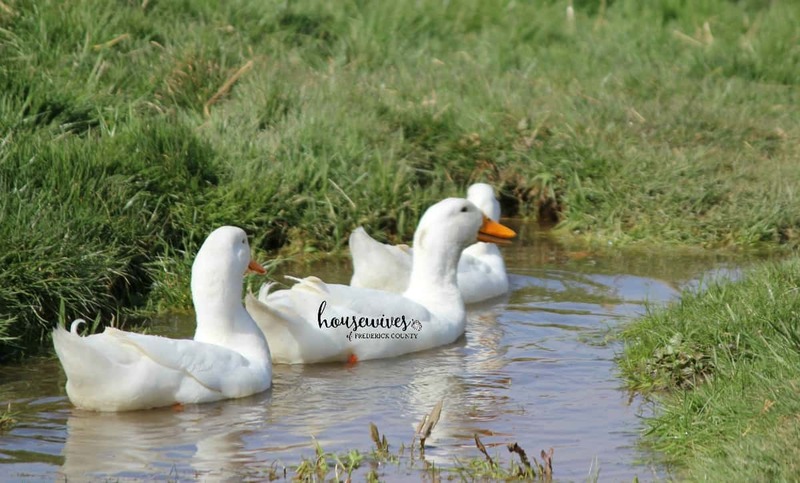 This time of year is the perfect time to take the kids on a ride out to the country and see what South Mountain Creamery has to offer. Oh, and don’t forget to bring a cooler for all of your chilled goods you’ll want to bring home with you! They are also very generous. 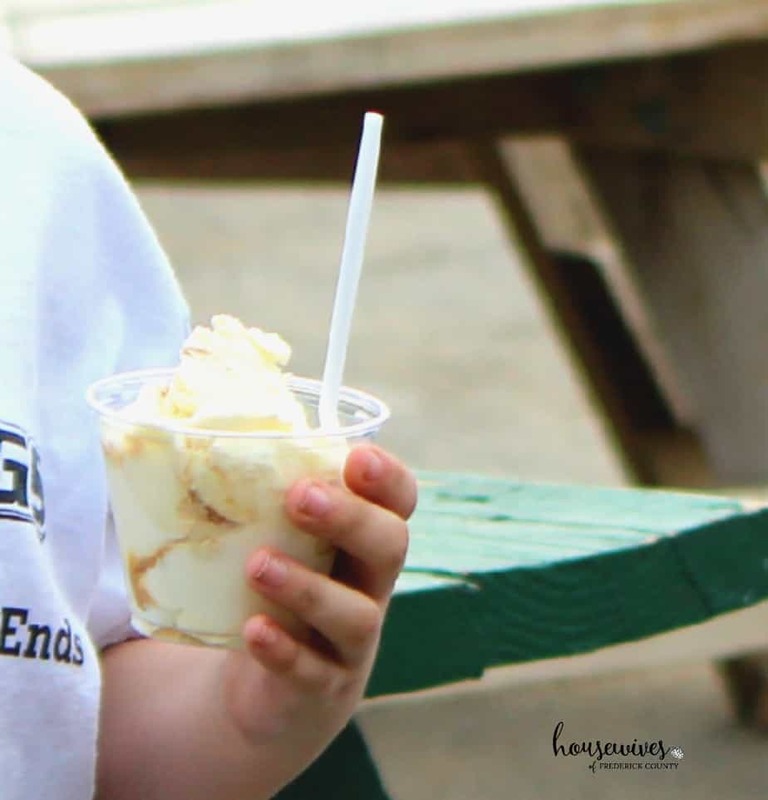 Last year, they came to Wolfsville Elementary School and gave every child (and teacher) ice cream for free! It was a great day. That is very generous! Love us some South Mountain Creamery! They indeed are very generous. I used to work at the Frederick Men’s Shelter and they used to donate a lot of fresh eggs and milk when I was there. It was all fresh and was not due to expire soon. Their driver would bring it all the way into the kitchen (where I worked) and would load it into our cooler for us. Especially around the Holidays! They never asked for anything in return and never wanted any publicity for it. They had a deliver manager George who was really a nice guy and would answer questions for us and even deliver to us sometimes himself. Overall a great company and great products! What a great story Andrew! We had no idea they donated so much. Thank you for sharing!